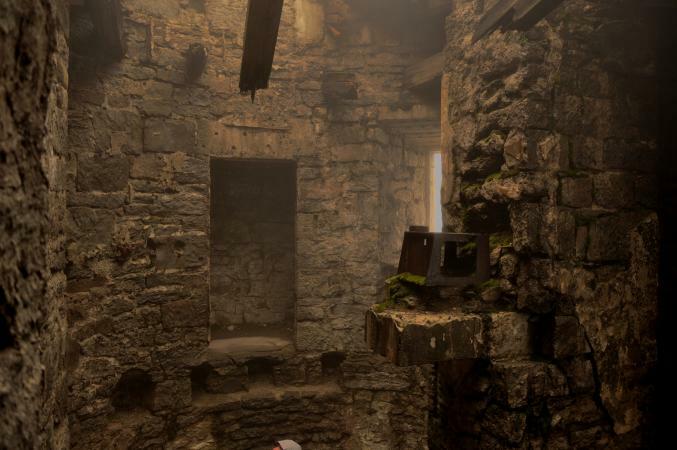 Pay a visit to the Lisheen Castle haunted ruins in Ireland if you dare. It's one of Ireland's many haunted castles with a storied history. As with so many tales of hauntings, the story of Lisheen includes an ominous curse. Unlike most other famous haunted castles, Lisheen, with construction completed around 1840, really isn't that old. However, the original landlords of the castle reportedly caused a great deal of suffering for the tenants who worked the land. It's said they charged incredibly high rent for the meager dwellings many of the townspeople lived in, and they were quick to evict entire families when they could no longer pay. The landlords of Lisheen had no pity for the poor, and needless to say, a lot of tragedy and death befell those who found themselves literally out in the cold. As the story goes, a widow who had been pushed to the brink of ruin laid a curse upon Lisheen and those who dwelt there, condemning them to walk the castle for all eternity. Eventually the castle was abandoned after a fire in 1921, and it fell into complete disrepair. This only added to the mystique of the Lisheen haunted ruins. In many areas of the castle, only fragments of the stone walls remained and were eventually covered in overgrowth. After the fire, the entire place emitted a feeling of foreboding. Investigators searching for paranormal activity have reported hearing the sound of boots walking on a wooden floor at a time when there were no wood floors in the ruins. There are also stories about spirits connected to mummies previously stored at Lisheen by an archeological collector. Some visitors have reported a moaning sound coming from the sublevels of the castle. By far, some of the most frightening accounts of Lisheen focus on the rath, a circular wooded area close to the castle that is believed to be occupied by fairy folk. According to Irish lore, fairies are really more like goblins, and they can cause a lot of mischief and misfortune. With this in mind, the team from Ghost Hunters investigated the rath near Lisheen in 2007, and they reported some strange goings on. One portion of the team witnessed a disembodied spirit face in the woods that was later revealed to have been caught on camera. Team leaders Jason Hawes and Grant Wilson also caught a single heat signature on the thermal camera that suddenly split into three while following other TAPS team members in the distant woods. Both the single and the trio of heat signatures appeared to be orbs rather than full human figures, and they floated along in the air with fairly defined edges. What's even more puzzling about this activity is how quickly the orbs faded to nothing. Normally, heat signatures take a while to cool and fade; they definitely don't die like a snuffed candle flame. At another point, a similar heat signature appeared to peek out from behind a tree only to retreat a moment later. In 1994, the Lisheen Castle haunted ruins were purchased by Michael and Joan Everard. Michael is believed to be a descendent of the one of the previous owners of the castle. Most of the rubble was cleared away, and the process of restoration began on the main living quarters. Today, Lisheen can be rented by vacationers who wish to spend time in this reportedly haunted place. It isn't clear whether the old spirits and fairy folk are still active, but reports linger, and investigators are still drawn to visit the location.